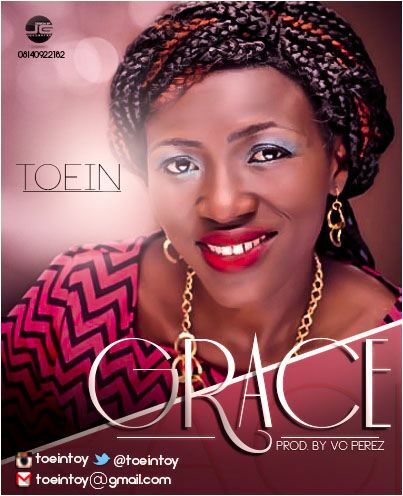 TOEIN is a talented passionate worshipper, singer and songwriter, who lives in Nashville Tennessee, (USA). Born in Nigeria, Toein served in different churches and made great impact. Toein has always had a passion for singing since 2002. Her first single "Grace" was inspired by God's sacrificial love towards men and she is presently working on her first album. God is love and he is full of compassion. That's why his grave towards us is an undeserved free gift, undeserved favour and undeserved love. The deeper I get into knowing and experiencing God, it becomes clearer that, All that I am, All I've ever been and all I will ever be is a result of God's grace. Every failure I experienced made me totally dependent on God's grace and every success is a result of God's grace at work in me. God does not love us because we are good, God loves us because he is good. Ephesians 2 (8-9) Nkjv. For by grace you have been saved through faith, and that not of yourselves it is the gift of God not works, lest anyone should boast.